Full Name: Gungen Kurutta (軍犬狂った). Meaning of Name: Mad War Dog. Distinguishing Marks: Untrue to the Buddhist Monk nature, Gungen bears the mark of the Rakshsa or 'Asura Eye' on his palms. He has bore these tattoos since he left the Tendai school. A Rakshasa is a Hindu demon often said to lead spirits and humans a like astray and drag them to hell under false pretenses. Rakshasa are often called Asura as well. Asura are in constant battle with Devas or deities. Gungen also has his ears pierced and wears black studs in his lobes. Uten Sutra (Scripture of Life) is one of the five Tenshi Kaigen or "Sutras of Heaven and Earth". This Sutra governs over life and existence. It grants the user the ability to either bring forth life and grant something or someone 'existence'. Muten Sutra (Scripture of Death) is one of the five Tenshi Kaigen or "Sutras of Heaven and Earth". This Sutra governs over death and nothingness. It grants the user the ability to bend space and turn it into nothing, making teleportation possible, negation of space, negation of attacks, and returning existence to nothing. The sutra can also bring the life of a target to an end by rapidly aging it. 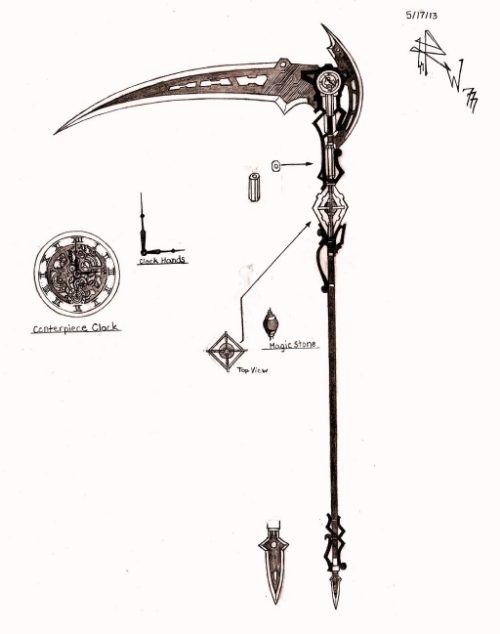 As an interesting play on his 'duty' to guard the Uten and Muten Sutras, he is a wielder of a specialized war scythe. Unlike makeshift war scythes of the farming peasants, Gungen's is hand crafted by the best blacksmith in all of Japan. The weapon itself is designed to be a light-weight version of its field-born farming cousin. Made of light-weight, but strong metal. The blade is sharp enough to slice through human bone as if it were melted butter and, a plus? The blade detaches. The end of the handle usually doubles as Gungen's staff, for the most part serving as a simple prop for his gimmick of being a 'true monk'. However, at the base of the staff rests a small, deadly spear head that is just as sharp as the sister blade for the scythe's head. Gungen has become a master of scythe fencing or scythe battle for this time, mastering at least 100 of the 1,542 scythe battle techniques established by Paulus Hector Mair in 1524. Attitude/Personality: Often viewed as cruel and cold, he is a liar with the blackest of hearts. He will lie with a smile and those he lies to are never none the wiser. He lives by the motto: If you meet the Buddha kill the Buddha, if you meet your father kill your father. And he does just that. If he meets a 'holy' man, he cuts them down without even batting a single eye or shedding a single tear. 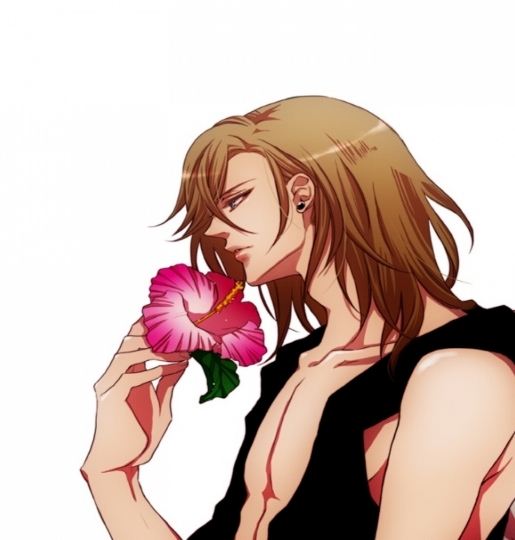 He will not hesitate to spill blood, no matter the person or the place. However, despite his lies and cruelty, he is also a very caring individual. He will help anyone he cares about and will happily lay down his life for his own beliefs. All in all, despite his seemingly twisted outlook on life, Gungen is actually a really good person, he is just a misguided individual who is over aggressive and full misplaced anger and cruelty.